This is the first release in the new Birds of Prey series from the Royal Canadian Mint. This series is the successor of the popular Canadian Wildlife Series and continues to offer the widely desired pure Silver Bullion. 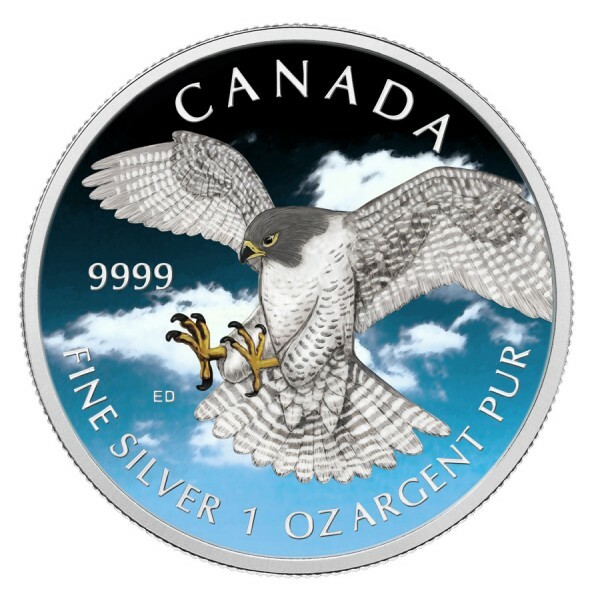 This coin, depicting the spectacular peregrine falcon, is the first release for the four coin "Canadian Birds of Prey" series. Peregrine Falcons are roughly the size of crows and can reach speeds of more than 200mph, making them the fastest animals in the world. 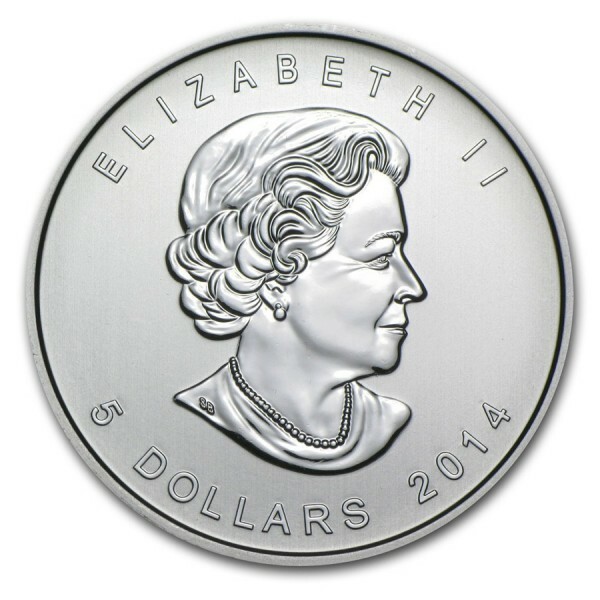 The obverse of these .9999 fine Silver coins features the profile of Queen Elizabeth II, designed by Canadian born Susanna Blunt, along with the year and face value of $5 (CAD). Note: The colorization of this coin was performed by an experienced third party company.